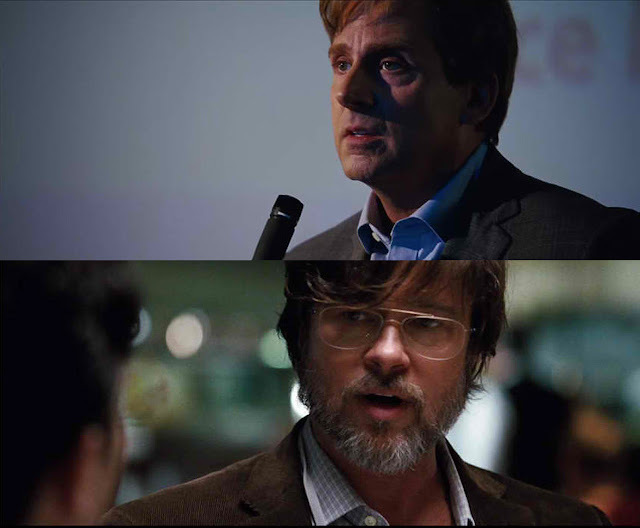 Based on the true story and best-selling book by Michael Lewis (“The Blind Side,” “Moneyball”), Paramount Pictures presents the sardonic comedy “The Big Short” directed by Adam Mckay (“Step Brothers”) and starring Christian Bale, Steve Carell, Ryan Gosling and Brad Pitt. 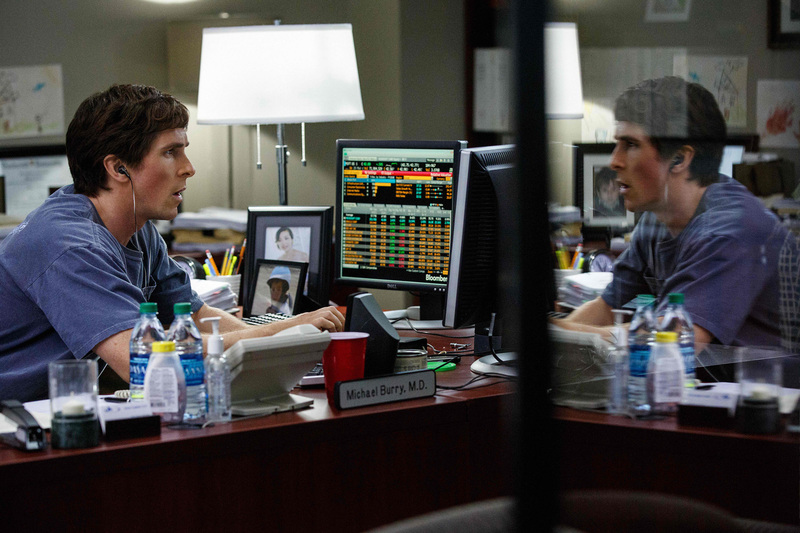 Five years ago, when director Adam McKay read The Big Short: Inside the Doomsday Machine, he became fascinated with a farce of a different kind. Intrigued by the mixture of comedy, drama, and outright tragedy in Michael Lewis' brilliant behind-the-scenes look at the lead-up to the global economic meltdown, McKay yearned to take a break from absurdist comedies and bring “The Big Short” to the big screen. "I started reading the book at around 10:30 at night and thought, 'I'll just read 40 pages,'" McKay recalls. "I couldn't put it down. I ended up reading the whole thing that night and finished at six in the morning. The next day I told my wife about the characters and how the book weaves together all these different storylines and how it's like a 'get rich' story that's ultimately about the fall of the banking system, corruption and complacency, and how it's funny and it's heartbreaking at the same time. And she's like, 'You should do it.' And I said, 'I'm the guy who did Step Brothers.' I didn't even look into it, because I just assumed a Scott Rudin or a Plan B had already bought the rights to this book." Brad Pitt's production company, Plan B Entertainment, had in fact partnered with Paramount Pictures to develop “The Big Short” as a motion picture. Producer Jeremy Kleiner found striking similarities between the author's approach to baseball and Wall Street within author Michael Lewis' book Money Ball: The Art of Winning an Unfair Game. The book that got McKay and Plan B so excited about making a film about the events leading to the banking crisis comes from the mind of master non-fiction storyteller Michael Lewis. After working at a big Wall Street bank himself in the 1980s, Lewis wrote the bestseller Liar's Poker, a funny and revealing look at the lucrative and deceptive world of bond trading. The author had no plans for a follow-up until the 2008 financial collapse. "I started reading about how big banks like the one I had worked for lost hundreds of billions of dollars trading in the subprime mortgage-bond market," Lewis recalls. "The banks had become the dumb money at the table and were losing huge amounts ... so I wondered, 'How does that happen?'" In search of answers, Lewis met with former investment bankers who'd lost their jobs after the meltdown. "We'd go out for a beer and they'd tell me off the record, 'The only reason I'm explaining to you why I lost 10 billion dollars on a single trade is that you're the reason I'm in the business. I read Liar's Poker and that got me excited to be a Wall Street trader.' After a few conversations I realized, 'Jesus Christ, I created this crisis!' I had a personal stake in these dummies responsible for losing all this money who had been led into the profession by this book I wrote. So then I tried to sort out how these institutions at the heart of capitalism became stupid and did such suicidal things. Banks like Goldman Sachs are filled with extremely bright, well-educated, best-and-brightest types from Harvard, Yale and Princeton." But it wasn't these Ivy League former Masters of the Universe who ended up being the protagonists in Lewis' book. Instead, he turned his attention to the misfits who defied the prevailing wisdom of banks, government regulators and media pundits and bet everything they had on an unprecedented failure of the American housing market. "I found out about these outsider oddball types on the periphery who figured out just how corrupt the system had become," he says. 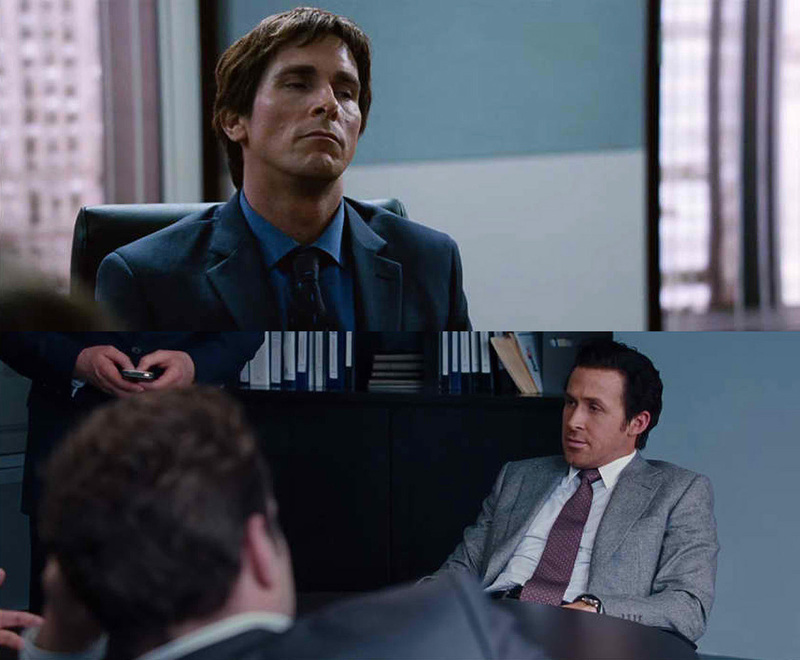 "These are the guys that made The Big Short a book and not just a magazine piece. The guys who bet against the banks and made fortunes - those were the characters who interested me."